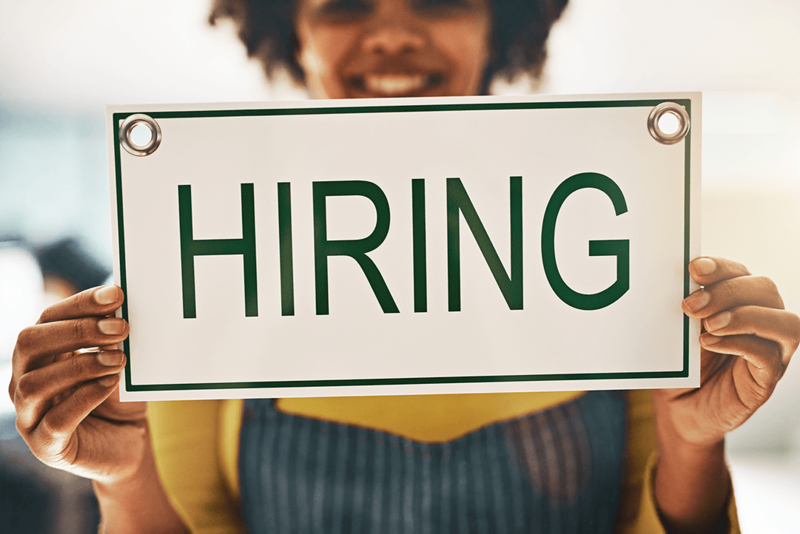 Qualifications for position: Education : High school diploma or GED Experience : Be 19-27 years old, Lived experience with a mental, emotional or behavioral challenge. 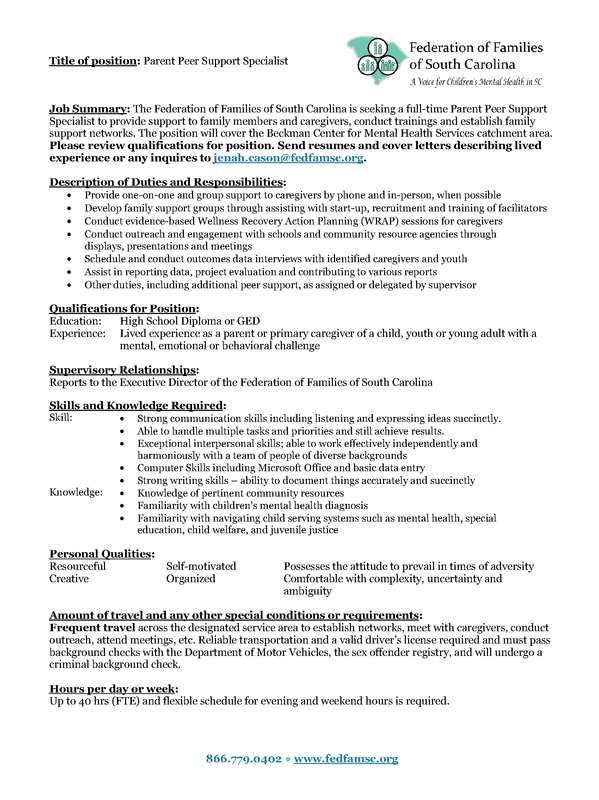 Job Summary: The Federation of Families of South Carolina is seeking a full-time Parent Peer Support Specialist to provide support to family members and caregivers, conduct trainings and establish family support networks. The position will cover the Beckman Center for Mental Health Services catchment area. Please review qualifications for position. 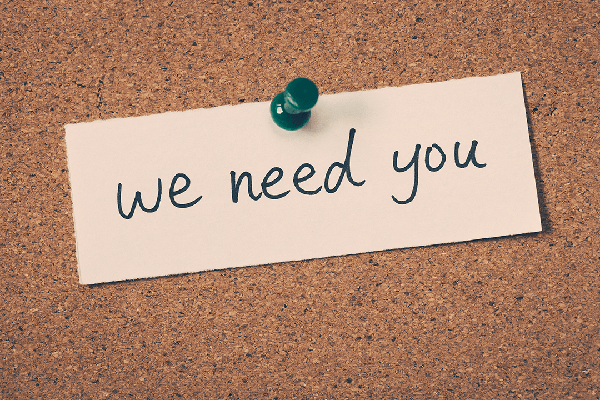 Send resumes and cover letters describing lived experience or any inquires to info@fedfamsc.org. 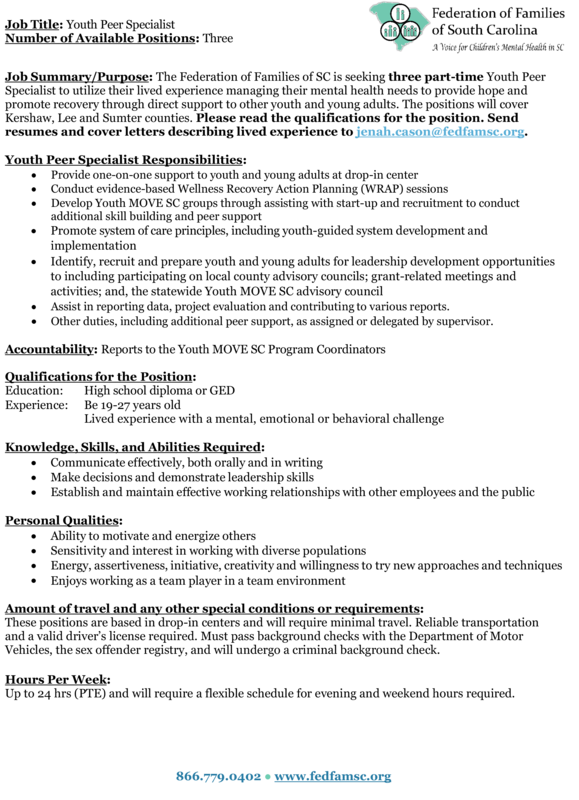 Experience: Lived experience as a parent or primary caregiver of a child, youth or young adult with a mental, emotional or behavioral challenge. 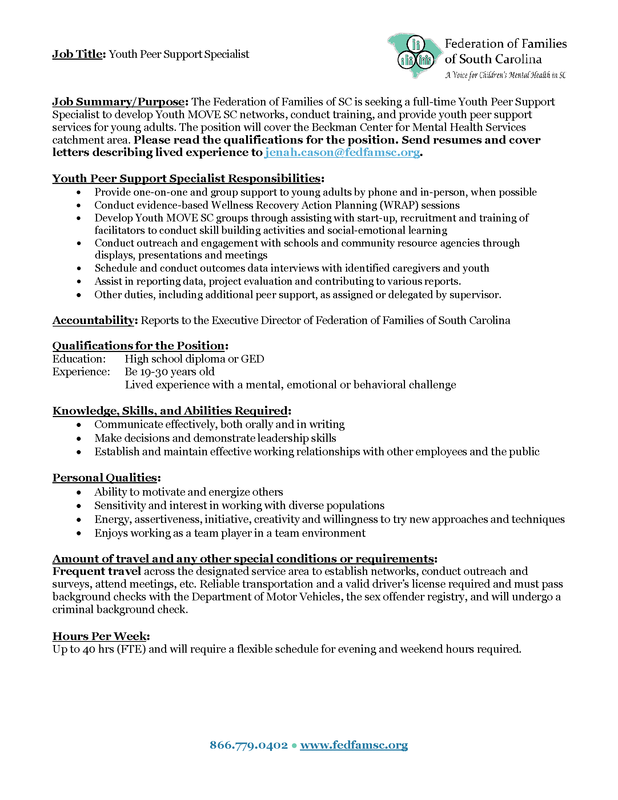 Job Summary: The Federation of Families of SC is seeking a full-time Youth Peer Support Specialist to develop Youth MOVE SC networks, conduct training, and provide youth peer support services for young adults. The position will cover the Beckman Center for Mental Health Services catchment area. Please read the qualifications for the position. Send resumes and cover letters describing lived experience to info@fedfamsc.org. Experience: Be 19-30 years old. Lived experience with a mental, emotional or behavioral challenge.